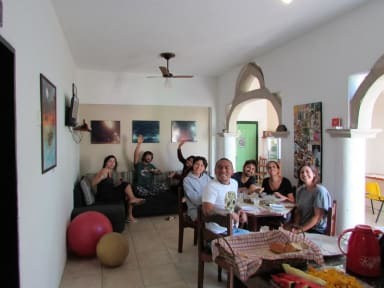 The hostel is located inside the historical centre of Paraty, so the guest is able to reach all the interesting places/restaurants/bars/etc.. by a short walk. Rooms are clean and organized, bathroom was always very clean as well, breakfast is very good and the staff is nice and welcoming. The place is a 'sure-shot' for staying some nights in Paraty. This is the best hostel in Paraty! The girls that run the place are really prepared to offer the best for the guest to make they feel at home: they make sure the place is always clean, they offer a free impeccable and delicious breakfast, they offer you the best options of day trip according to your priorities, and they guarantee a safe staying, especially for feminine solo travelers (there is a security guard every night taking care of it). I highly recommend this hostel and would come back! O lugar é muito bonito, o quarto permite-lhe ter independencia e o melhor de tudo é o facto de nos sentirmos em familia pelo acolhimento caloroso do Marco e da Silvia. Nao temos palavras para tanta simpatia. Foi realmente especial. 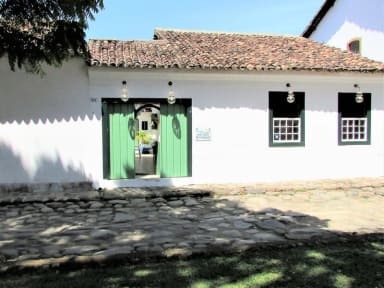 A melhor localização de Paraty, ótima equipe e um ótimo café da manhã. The hostel was first of all very clean (rare thing), the staff was very nice and helpful and it was located on a nice little Largo (little square) that was calm, close to the main bus terminal and already in the heart of the city. I arrive on a Wednesday by my self and the hostel was almost empty so no great opportunities to meet other travellers. It improved on the weekend, but I would say a bit more could be done to make this place more lively. Beds were ok, but the room was a bit small.